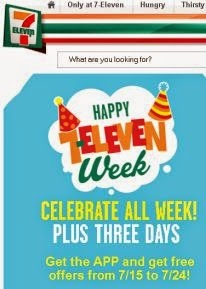 Receive a free item everyday through July 24, 2014 when you download the 7-Eleven app! The freebie offers start today, July 15, 2014 through July 24, 2014. Checkout the linked page for more details.